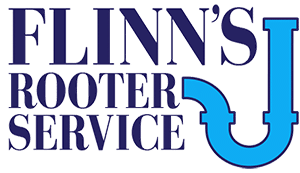 Frequently Asked Questions for Flinn’s Rooter Service of Midlothian, VA.
Q: Does Flinn’s Rooter Service provide 24/7 rooter services? A: We service the Chesterfield County and Henrico County area. This includes Midlothian VA and Richmond VA.
Q: What Services does Flinn’s Rooter Service provide? A: We can work on any drain in and around your home or business such as: your bath sink drain, tub drain, shower drain, toilet drain, washing machine drain, kitchen sink drain, main sewer drain, septic line, and many more. A: For a basic rooter service, it can take about an hour. Q: Do you work on all types of drainage pipes? A: We can work on clay pipes, cast iron pipes, pvc pipes, and more! A: We accept cash, checks, Visa, Mastercard, American Express, Discover, PayPal, and Bitcoin. Q: Is Flinn’s Rooter Service a licensed plumber? A: We are not plumbers, however we have great relationships with local plumbers. So if you have a plumbing issue, call us and we can tell you if we’re able to do the job. If not, we can refer you to a trusted and licensed Virginia plumber. Q: Is Flinn’s Rooter Service insured? A: We are insured with commercial liability insurance so that you are protected. Q: Does Flinn’s Rooter Service have a customer service guarantee? A: Yes, we offer a 10 year warranty on our trenchless pipe repair work. Drain cleaning is guaranteed on a case by case basis depending on the results of a video inspection.